Growing efforts are being made to promote legal empowerment in the context of transnational agribusiness investments. Several LEGEND partners are key players in this space. Examples of relevant initiatives include Namati’s community land rights programme, CCSI’s small grants scheme for contract scrutiny, Landesa’s private sector engagement, and IIED’s own longstanding Legal Tools for Citizen Empowerment work. on best to combine legal empowerment with complementary interventions, e.g. to provide technical expertise in areas such as inclusive business or economic valuation, or to address more overtly political dimensions. How does legal empowerment work and what it try to resolve? What are the specificities that need to be considered in designing and implementing legal empowerment interventions in relation to agribusiness investments? What does practical experience of using legal empowerment tools show us? What does experience say is the role of legal empowerment in preventing and resolving disputes, or promoting more inclusive investments? What complementary support is needed for legal empowerment to be most effective? What synergies can be created between legal empowerment and other interventions? 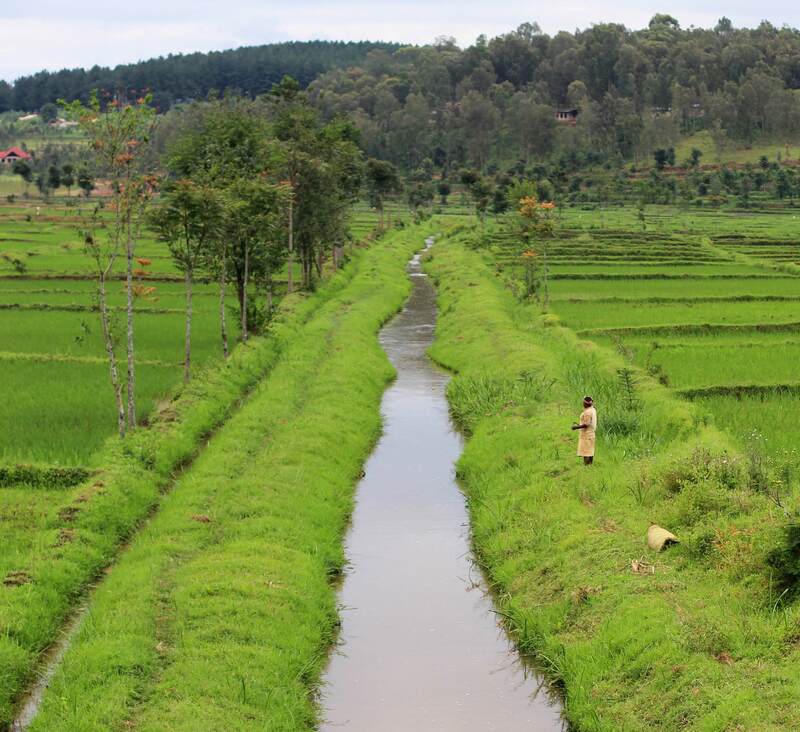 How can land governance programming incorporate legal empowerment approaches? The meeting of the of the UK Policy Forum, which took place from Thursday, November 2, 2017, aimed to extend participants’ understanding of legal empowerment as applied to agribusiness investments, and its role in land governance interventions. Identify themes for discussion for the next standing Forum meetings. This dialogue will capture the discussion from the UK Policy Forum and will enable others to add their voice to this discussion and invites answers to the questions above. Why are legal empowerment and agribusiness investments of relevance to DFID? Why is this of relevant to DFID? Promoting increased, responsible investment in agriculture is key focus of DFID Economic Development Strategy. More investment is needed to promote development and inclusive economic outcomes, including more investment along the value chain. But this investment will continue to take place in contexts where land governance is weak so critical to address these weaknesses in parallel to ensure investment delivers the intended development outcomes for poor communities. Two significant entry points to date: DFID is now supporting a wide range of activities on legal empowerment (some of which we will hear about today) but to date these have centered on two main entry points: the first is in the context of land tenure regularization programs, where the assumption has been that by strengthening tenure security through legally recognised titles or certificates (individual or collective) people are empowered to assert and protect their legitimate land rights. Often such programmes include additional elements to raise awareness about land rights and land administration procedures, which may also contribute to legal empowerment. The second main entry point is around land-based investment projects where DFID has been promoting application of the VGGT and increased engagement with local communities to ensure their rights are understood and respected. Key Challenges: in traditional land tenure regularisation programmes the space and resource for significant work on community legal empowerment is often squeezed and, where it happens at all, is limited to or constrained by the needs of the demarcation, adjudication and documentation process. These are often very output driven with strong pressures for cost-control which may work against investing in additional activities that do not directly support the delivery of the priority outputs. For responsible investment projects, the entry point is the investment itself. This is a good starting point as it is important communities are empowered to negotiate a beneficial deal. But it tends to focus only on those companies who already want to do the right thing (and fails to reach communities dealing with companies who are less aware or concerned about communities’ legitimate land rights and their need to understand and respect these). And it can also create challenges around the perceived or actual independence of the intermediary working with the community, especially if they are working directly on behalf of the investor. Opportunities to increase impact: We need to promote community legal empowerment in at least two broad ways: ‘systematic’ legal empowerment and ‘responsive’ legal empowerment. Systematic legal empowerment involves systematic work, community by community, to empower communities and individuals within the community, particularly women, to understand, defend and use their rights. This work is vital and can be considered a kind of public good, underpinning democratic systems and good governance of natural resources. But it is slow, incremental work and costly to do at scale. Lots of organisations, such as Namati, are already doing this type of work but the question is how we can do this at scale given the scope of the challenge and how can we target it more effectively? Are there other programmes in health or elsewhere these programmes can piggy back upon? And how can we support a new generation of land tenure regularisation programmes that promote legal empowerment as a vital component? Alongside this, there is a need for more responsive or reactive legal empowerment work with communities who are suddenly confronted with a potential land-based investment that may affect, if not challenge, their legitimate tenure rights. There are some examples of ‘early warning systems’ in but are there ways to support this more systematically and for greater collaboration across networks and projects to increase the reach and build effective capacity to respond. A growing number of investors recognise that these kinds of systems and investments are necessary to build a ‘social license’ to operate, which will enable sustained and profitable investment. These are just a few of the important issues I hope we can discuss here. Thank you for joining this important discussion, and we look forward to your contributions. Analysis, insight and learning provide the foundations of our legal empowerment work – there is a strong connection between research and action. Our action-oriented work is informed by an ongoing research function to understand evolving challenges and distil insights from experience, and their implications for legal empowerment. One example is the recent LEGEND analytical paper on harnessing political economy approaches to inform legal empowerment. Some research reports have provided the basis for learning / support materials and processes. In turn, tracking lessons from our action-oriented work is key both to reorient practice and inform the research agenda. A holistic, local-to-global perspective. This is a strategic choice informed by both our analytical work and practical experience. Interventions on the ground are important, but the transnational reality of investment processes requires action at multiple levels: by the time a business venture hits the ground, key decisions will have already been taken at higher levels. For example, the government may have approved an investor-state contract and concluded international treaties setting the framework for individual investments. So besides working at the local level we also work “upstream” to support public scrutiny of legal instruments at national and international levels. In many ways, this reconfigures the notion of legal empowerment. In Senegal, legislation on decentralisation gives elected local governments considerable powers in land allocation, and we worked with Dakar-based IED Afrique to pilot locally negotiated “land charters” setting ground rules on how local governments should perform their responsibilities. Community paralegals facilitated dialogue. In Ghana, traditional authorities play a central role in land governance and have signed many land leases, so we worked with Kumasi-based LRMC to support committees representing diverse local groups, including traditionally marginalised actors, to promote more inclusive decision making. In Cameroon, vibrant grassroots organisations support rural people but have little legal expertise. So we worked with CED to support new law graduates (“junior lawyers”) that are seconded to a grassroots organisation to help them assist rural people. CED, RELUFA and IIED are now working on a follow-on project to support public participation in Cameroon’s ongoing land law reform process. In all these cases, partners lead the action, and IIED’s role is to assist and provide technical support. Learning and sharing among partners across countries is a key part of the approach, including via practitioner-led workshops, webinars and publications. We have realized the necessity of working at all three moments: e.g. in Kenya we have integrated planning for negotiations with investors in our community land protection work, while in sierra Leone, we have added community land protection to our community-investor negotiation work. v. Application for the government to recognize their land claims with formal documents (if national laws apply). The Columbia Center on Sustainable Investment’s (CCSI) primary focus is ensuring that investments support sustainable development and do not harm human rights. CCSI is a think and do tank, and given our links with Columbia Law School and the Earth Institute, we focus on innovative research, technical support, and bringing together stakeholders and different actors in various policy spaces. Most of the work we do related to legal empowerment falls in to one of those categories. A lot of our efforts do center on how to make legal instruments, like contracts or treaties, more accessible to non-lawyers. Building upon what Lorenzosaid about local to global, we work with all kinds of actors. One thematic area of focus is transparency of investments, and one of our projects is OpenLandContracts.org. This is the first global repository of land contracts that aims to make information more accessible for people; it includes plain language summaries of key provisions and we’ve built into the repository other types of tools that non-lawyers can use. We have created a related mini-grants program to support uses of the repository’s information, including support to communities for legal empowerment purposes. One example is a grant that we awarded to CED in Cameroon, for their work to develop an assessment grid that can be used by communities in analyzing land investments and investor-state contracts and that can support communities’ related efforts to demand accountability by investors and the government. CCSI’s role has been minimal, essentially just providing the original platform and then the financial means to build off of it. CED had interesting findings after piloting the grid, and now they are working to figure out how to move it forward and make it adaptable to a wider slate of communities and countries; we at CCSI are hoping to support them in adapting it and/or disseminating it through OpenLandContracts.org to make it more accessible to others. This work on OpenLandContracts.org is supported by DFID. DFID has also supported our series of research projects and activities on legal support gaps around land investments, which focuses on where we have seen gaps around investments in terms of how communities are able to use legal support to protect their rights and interests. We are researching, for example, ways to ensure redress for harms to communities in particularly difficult contexts, such as when projects have failed or been abandoned. Another project is one that we’re working on with Namati, to develop a resource for communities thinking about signing an agreement with investors, to help guide what they should be considering and, if they decide to enter into an agreement, what they should be putting into their contracts. More generally, we are also building capacity for civil society groups and others to better understand human rights and other issues related to investments. Awareness of rights and laws is key but legal empowerment is ultimately about strengthening local organisation. This is essential if communities are to be in the driving seat throughout the process. In the longer term, it is key for impact and sustainability. Many private sector interlocutors also value effective local organisations they can engage with. So while development projects often involve developing “tools”, it is important to take a long-term, systemic perspective and embed the action in local institutions – in the example I mentioned before, local governments in Senegal, grassroots committees in Ghana, and institutional relationships linking grassroots NGOs to a national organisation with the necessary legal expertise in Cameroon. Must be seen as part of a wider package – at IIED we are starting to talk more explicitly of socio-legal empowerment. Where communities conduct advocacy on agribusiness investments, legal processes rarely work in isolation – they are typically more effective if embedded in wider strategies of public mobilisation and collective action. Similarly, in community-investor negotiations, in order to make informed choices communities need a solid understanding of business dimensions too, e.g. with regard to the feasibility, and the pros and cons, of different partnership models. This has implications for the necessary skillsets, for the scope of the research/analysis underpinning the intervention, and possibly for collaboration among diverse players. But also ultimately recognise that there are situations where legal empowerment may simply not be the best answer. Even in nations where there is not yet a good legal framework for community land documentation, we can have important legal empowerment and land protection impacts. The process is, in some ways, more important than the “product” – even in situations where the government has refused to grant titles or deeds (or dragged its heels), the very fact that the community has come together as one, made a plan for their future growth and development, agreed on their rules, created processes for interacting with investors, and harmonized their boundaries with their neighbors, often has as strong an indicator of land protection as a title. 2) Strong legal and economic knowledge is as important as a map and title when negotiating with potential investors. When it comes to negotiating with investors, it is critical that the community understand the value of their lands and natural resources to their own survival and flourishing, including what they will lose if they lose access to their common forests, waterways and grazing lands, as well as their legal rights vis-à-vis negotiating with investors, both under national and international laws. Tenure security is strongly tied to participatory, inclusive, accountable governance and decision-making processes. A corrupt leader with a map and a title is potentially very dangerous: it is easer to transact land once it is mapped and documented. Communities need strong accountability mechanisms to ensure that leaders do not act unilaterally - that decisions about medium and large-scale land transactions are made collectively by the whole community. A key to the legal empowerment approach to community land protection is directly addressing intra-community inequities: in our work, we support communities to revise and create rules that protect the land rights of women, youth, minority groups, etc., as well as systems for addressing when those rights are violated. The political economy aspect is really important. We have realized that some efforts, for example, many of the good governance initiatives related to extractives, are not working because of political economy factors. From where we sit, one of the biggest lessons for us is how to contribute our part and then support others to build on our work and contribute their own part. The CED grant was a good example of their building upon work that we had done and our supporting them and helping to advance the work they were already doing. Similarly, with our trainings, such as the training on sustainable investments in agriculture, we try to encourage participants to take training lessons and apply them to their own work. An example of that comes from one of our most recent training alumni, who just did an echo training with civil society groups in Laos; at her training, many people said it was the first time they had heard of the VGGTs or FPIC. Inspired by our training, another training alumni just held a “train the trainers” workshop in Ghana focused on agribusiness contracts, and we talked in advance about ensuring that it included a strong focus on minimizing risks to farmers. A final lesson that I use as guidance generally is the need to think several steps ahead to understand potential unintended consequences. I think it is important for lawyers who see things from a legal context to ask these questions: for example, contracts might not work very well for communities in contexts and cultures where contracts are not prominent. What might it mean if you try to support people to enter into contracts in a situation where contracts do not mean the same things as they do for you or me? What might the unintended consequences be? The point that Tom mentioned about accompanied and sustained support is also important. I heard an example the other day about a team of lawyers who did a know-your-rights training on land rights. They found there was a big increase in litigation after the training, but they didn’t have support for the community to sustain this. Understanding the potential consequences of an action, and then using that information to mitigate risks, or to determine when to not do something, is also very important. There is real value in “horizontal” peer-to-peer learning and lesson sharing among practitioners working on similar issues – so they can exchange tips and tactics, become more confident about their approaches and create alliances. Through Legal Tools for Citizen Empowerment, we contribute to this process through face-to-face workshops, online webinars and practitioner-authored and -oriented publications. Some of the best workshops I have ever attended brought together legal empowerment practitioners in Africa or Asia to develop collective learning and strategising. I know other organisations are doing similar lesson-sharing work, and there is scope for greater synergy and impact. In more operational terms, working at the local, national and international levels, and integrating legal empowerment with other approaches, may require new local-to-global coalitions between actors with complementary expertise in different areas of law and practice, and with the ability to act at different levels and in different places. Again, there is scope for more joined-up activities between the types of organisations participating in this forum – we are starting to see some of this, hopefully we will see more in the future. We are all working in our own silos in regard to community land protection. We should better connect with conservation-focused organizations and movements, forest-protection organizations, anti-dam organizations, even microcredit/livelihood support organizations, and support them to use legal empowerment approaches to community land protection and natural resources management. Namati will be launching a pilot program to see how to better support a legal empowerment approach to community-driven ecosystem restoration. For example, in the DRC, a consortium of NGOs are implementing a food security program that involves large scale irrigation. One of the project’s leaders recognized that once the land was irrigated, it would be vulnerable to being grabbed by elites, so they reached out to Namati to learn how to proactively implement community land protection efforts. We need more cross-sector collaboration and strategy-sharing. Namati, the ILC and IIED are launching, in 2018, the Community Land Initiative, which will bring together some of the best community land protection practitioners around the world for an intensive year-long “course” where we will “co-teach” each other our strategies, then “try out” each others’ best practices in our own contexts – this will support a sharing of successful strategies across regions. Rachael’s point on creating spaces for grassroots advocacy is important, and I would say that this should also extend to spaces at the international level. One example from our own work is that we recently hosted a consultation for the UN Committee on Economic, Social and Cultural Rights regarding a General Comment on land that would be an authoritative interpretation of a legally binding treating of how land and land rights relate to the legally binding framework. We worked hard to ensure grassroots and Global South voices were there. There is much more we can all do on this front, however. Also, in discussing land governance programming more generally, I just want to note that sometimes it seems as though the land governance community picks things as panaceas and there aren’t always enough reflections on the potential risks of those things, and on how to move forward in a way that is empowering of people in light of those risks. With the SDGs, for example, some of the risks of titling programs could get lost in the quest for a land rights indicator that includes a measurement of formalization, although formalization is of course a very important part of tenure security. Other panaceas, like inclusive business models, open data, and the role of technology, also have various risks attached. There’s much that’s good about all of those things, but as we think about legal empowerment as it relates to land governance, we should also be aware of the risks of certain interventions and how to minimize those risks for the people empowered. How do we positively influence government actors? I recently heard a presentation by an anti-corruption expert, who said that about 15% of any government is massively corrupt, 10% is working hard to do good, and the other 75% can be swayed either way, depending on department-specific leadership and protocols. How do we connect the good actors into a network of support, and then empower them to positively influence the other 75%? Coherence is a challenge for many reasons. As a start, I think that entities such as governments, but also others, could do some soul searching and see how their various actions align with their own development efforts. The Swiss government did this recently, funding research that examined whether their investment treaties align with Swiss development objectives. I think it was really brave to do this; other donors might not be interested in similar reviews. But in general, some incoherence will always be the nature of large bureaucracies. Are there tools to create accountability? I was interested in the political economy and looking at whether there are vested interests. Do we have the tools to create accountability on the company side? Looking at the corruption in the extractive resources and bribery, what are your thoughts and the avenues when the government is not responsive? Bylaws drafting is at the heart of Namati’s community land protection work. This is a three-part process, that begins with each community “shouting out” all of their Indigenous and customary laws. Then, they go through their customary rules by topic – forest rules, water-related rules, hunting-related rules, rules about leaders, etc. – and learn about relevant national laws. The community discusses what rules should stay the same, what rules should be gotten rid of because they are unjust or discriminatory, what rules should be changed to adapt to current realities, and what rules need to be added. The communities debate all their rules for months, until they have an agreed second draft, which is then check by a lawyer or a judge to ensure that they not contradict national law. Finally, the community makes any last changes, then hold a large bylaws adoption ceremony where they vote to adapt their rules. The process of deliberative democracy is very empowering. For example, a few years ago, in Liberia, one community had a long debate about times of the year for palm oil harvesting. The young men wanted to harvest palm oil all year round, as it is a cash crop, but the older men wanted them to also farm rice, to ensure community food security. And they had a fight, and they came up with a compromise to grow rice four months a year and palm another part of the year. In the end, the young men and the elders called in the women to mediate, and the women helped them come to a compromise. We also have both women and men make maps. The women map almost all of the natural resources in the community, because women’s work includes harvesting firewood, wild foods, herbal medicines, etc. Men map many fewer natural resources. When we have the groups of men and women report back to the community meeting, men see that the women have mapped many more natural resources than they have, and realize the importance of engaging women in discussions about community land and natural resources management. I would say that my own perspective is that you need a range of approaches, binding and voluntary rules and incentives, and both incremental and more disruptive approaches, and that everyone has their role to play. How you align these approaches, though, can make everyone’s efforts stronger. I also echo Rachael’s sentiment, and would say that it’s very important to get the communities themselves, and not just civil society, involved. They know the challenges and have the most relevant experience. And there are best practices to create welcoming spaces for all stakeholders, including community representatives, even if you are discussing legal and technical issues. As to the political economy point, there are so many factors to consider. Someone earlier mentioned that concession deals are now too risky. I think that might be increasingly true in certain contexts, but might not always be the case in more repressive contexts. Support for programming that tackles these political factors is also quite important. At Forest Peoples Program (FPP) when we talk about legal empowerment we are talking about empowering local communities. Obviously for communities to be enjoying the fruits of that empowerment they need an enabling environment which is reliant on government, investors, donors and civil society all having a rights-based approach. The way we work at FPP is to have a strongly grounded working relationship with communities and local civil society, to ensure that we have a keen sense of what their perspectives are and what is actually happening on the ground. On that basis we try to work at all levels: international, regional, national and local. Often our work is in response to a threat, but sometimes that threat is more remote and at other times it is the result of an ongoing conflict. Even when there is a conflict and the work can be characterised as highly responsive, it is important to see the public interest value in doing that work in a way that drives systemic change. For example, in Liberia we have supported communities affected by agribusiness (in this case palm oil) by bringing complaints using the grievance mechanism of the RSPO. In parallel, we are a member of the RSPO and have been working within the RSPO system for some time to drive up standards and better structure the RSPO in order to better hold companies to account. As such, we are not just involved in the adversarial space of the complaint itself. We are also highlighting deficiencies in the operation of the grievance mechanism itself and working collaboratively with the RPSO with a view to strengthening their systems for protecting the rights of communities (and remedying breaches of their rights). This combined inside-outside approach is an important strategy. The nature of this work means operating in a variety of political spaces, including development finance (public finance and private investment), human rights, law and policy, trade (including policy on the demand- and supply-sides of commodity supply chains), and conservation, including international policy on climate change and illegal logging. Individuals involved in this work come with various specializations of course, but none of us has the luxury of only working in only one of these spaces and just bringing one agenda to the table. I am a human rights lawyer but it is incumbent on me to be able to engage in key related areas of public policy including economic development and environmental conservation. It is an important part of the legal empowerment process that communities are made aware of their rights. However, from my own experience I’ve found that it’s not enough for communities to know their rights, they must also be able to enjoy them. I was talking to a community in the DRC and explaining what their human rights were in international law (at about the time when I was starting out in this work) and an old man stood up and said “what use are those rights to us, when the government has guns?!”. What I took away from this was, as Nelson Mandela said, that often things seem impossible until they are seen to be done, and this is true with community legal empowerment. Sometimes the situation does not feel hopeful for communities until at least some tangible results have been achieved, preferably by them, or at least with them. It is important to ensure standards are carefully explained, but it then all comes down to experiences of implementation and enforcement. I would like to build on what Lorenzo said about power. In these processes it is a important all stakeholders are aware that that there is an obvious win-win to socially and environmentally sustainable investments. This maximises benefits to the communities, the security and profitability for the investor, as well as being a benefit to governments, driving responsible finance and good environmental governance. However, this win-win approach and the need to engage all stakeholders can lead to a power-neutral, or power-blind, approach that will be unsuccessful. In the Liberia, when we asked one community who owned the land, they said “God, guns and government, and then the community”. They answered the question not in terms of tenure and who owned the land, but in terms of who had the most power in respect of their land. In another example from Cameroon, when commenting on the principle of Free, Prior and Informed Consent (FPIC) one Baka community member said “we know what answer they want, so we give it”. This is again illustrative of the challenges to a rights-based approach in contexts of highly unequal power relations. Where there are such clear power inequalities at stake, what can we do? One important step is to disaggregate stakeholders into rights-holders, duty-bearers, and others. Stakeholders cannot all be considered on an equal footing; when investors bring millions of dollars of investment and governments wield the power to make law, communities can often be at the bottom of the heap. Recognising communities’ status role as rights-holders is an important start for redressing this power imbalance. We have also learned that work with communities needs to be accompanied and sustained at work. As a result we have often been working with communities for 10-20 years in some cases. For those of us involved in legal empowerment in this context it is important also to bear in mind ‘moral hazard’, as many of the risks of this work are to the communities, and not to us. Another important aspect of sustained work is that you get to learn from the community and from civil society. Sometimes you are surprised when they don't take your advice and then you realise later – maybe much later – that they were right. There are many political spaces where community legal empowerment needs to take place, such as with climate change/REDD+, FLEGT/illegal logging, non-deforestation/TFA2020 etc., but the language of these spaces can be quite alienating. It is possible however to support communities within these political spaces using a language that they can understand and that is relevant to them. This is important to making the most of strategic political spaces. When it comes to legal empowerment often a multi-pronged approach is most effective. Sometimes the response might be legal, but sometimes this is not the most effective tool and other tools like the media or another avenue are needed, with some actions in sequence and some in parallel. Finally, it is important to recognise that none of us can bring all the information and expertise to the table that communities need. Describing to communities what the potential value to them of palm or rubber will be in economic development terms is not within my expertise, so we need to make sure that communities are getting the advice and information they need from the multiple sources that can provide it. It’s therefore important for those of us working in this field to work and coordinate together. Using particular contexts and struggles to drive systemic change is absolutely key, since without having a locally rooted movement to push for reform, communities are unlikely to see the transformation they need. Further, it is important to back up and capitalise on the responsive advocacy of communities to galvanise improvements in the institutional architecture of grievance mechanisms to enhance their ability to give avenues to access justice. The Liberian example of supporting communities to bring a complaint to the RSPO Liberia and using this to both test and strengthen the operation of the RSPO’s grievance mechanism is one example. Another example would be in our work in Kenya where we gave support to an indigenous people who were making a complaint to the World Bank’s inspection panel, while at the same time having been actively involved in Bank safeguard reviews with a view to making sure that their safeguards and safeguard implementation processes were improved and not weakened. Between ‘pulses’ of standards changes (e.g. Bank safeguards reviews, reviews of the RSPO standard etc. ), communities can be supported to both make the most of processes available to support the implementation of those standards, and illustrate flaws and drive improvements in the standards and architecture of those institutions and thereby improve systems of accountability and delivery of justice. As I mentioned before, this area of work operates in a lot of political spaces and involves people and organisations from lots of different disciplines, human rights and law, conservation, development etc. One way of avoiding silos is to take a rights-based approach in all these contexts. None of us has the luxury of staying in silos and not getting to grips with rights based approach. In all these spaces we should be asking ourselves whether what we are doing is rights-based? Am I involved in something that will impose a project on rights-holders? Will it have negative development and human rights implications? Finally, although has been success in developing an array of voluntary standards for different sectors, we have yet to found a way to make the leap from a voluntary to a binding framework that is generally recognised as being necessary for proper implementation and enforcement. It is therefore important to work on making sure voluntary standards act as a springboard to, and not just a proxy for, a binding system. Addressing the issue of situations where communities so not agree among themselves, I think we should in fact assume that there will be disagreements within communities. Who even has a family where everyone agrees? However it is up to the community to come to an agreement they can live with. Like in a game of football, it’s important for everyone to first agree on the rules for everyone to accept the outcome, even if the final outcome is not precisely what everyone was wanting at the outset. I would also agree with the comment that the concession model is in effect a colonial model. We have to accept that the concession model needs a significant overhaul, and in truth there are concession companies who are coming to this conclusion too. Coherence at the donor and investor level is a key lever for change. In the example I highlighted earlier from Kenya, a World Bank natural resources management project that was the target of a successful community complaint led to the Bank withdrawing from funding further such projects. Despite the Bank’s position, follow up funding was offered by the EU. This was surprising given the World Bank’s experience and position. From our exchanges with the EU Directorate General for Development Cooperation (DG DEVCO) we have been also very surprised about the lack of capacity on the rights based approach to development among the EU Commission staff. The DEVCO organogram illustrates the problem as we’ve experienced it, because the human rights team is was just one unit among many, and therefore seemed isolated and separate from the geographical and thematic units that are designing and delivering development projects. How confident are companies in countries with unclear rights? While it does seems on the face of it surprising that companies will invest in countries where land rights are unclear and risks of conflict for the investors are therefore high, all I can assume is that companies are so confident in the backing they will get from government to overcome such risks and conflicts, I wonder if that outweighs the economic disincentives. Are we acting in a paternalistic manner towards communities? I noticed that in the last few questions, “community” dropped out of the discussion. Here in this room, we are a bunch of white people, and we should be self-reflective about the degree to which we are being paternalistic towards communities, or assuming that they cannot directly impact global policy and practice. We are not legally empowering investors. We have ended up talking about investors helping governments. How do you really address the issue of investments made in bad faith? If the bad actor is the government, you need top down and bottom up pressure. You need multilateral and international agencies putting pressure from above, but you need social change movements, people marching in the streets and singing songs, putting pressure from below. For NGOs it can be touchy, with Human Rights Defenders now being killed in increasing numbers, but without social change movements, all the pressure from above will make little difference. Good multi-stakeholder dialogue, including with investors, is important. While the Interlaken Group is one forum the recent meeting was not as productive as I’d hoped (though admittedly it’s the first I have attended). Often such forums fail to ensure adequate representation of communities and community perspectives, and where there is representation of those perspectives it often seems tokenistic. In my experience with meeting investors, companies often want to outnumber communities, and maybe we need to play this game in reverse and start getting community representatives to outnumber the other multi-stakeholder groups! By contrast in many multi-stakeholder groups you’ll find one person from each of several companies, one from each of the relevant government ministries, and maybe one community and one civil society representative, which is not fairly representative. By way of a really good example of multi-stakeholder I would strongly recommend The Forest Dialogue (TFD) series such as the one I attended in Gabon recently which was excellent. With four days in total, the field-trips arranged for the first two days really helped to break down barriers between the government people, company people, and NGO people, and we actually started interacting like human beings with really constructive results. Although community representation was still lacking in the TFD meeting (and clearly four days is a heavy time commitment) it was nonetheless one of the best models I’ve experienced. I often find myself confronted with the perspectives of ‘the researcher’ and ‘the practitioner’. The researcher in me is aware of the complexities that social processes involve, the practitioner needs to develop workable approaches that inevitably entail making some simplifying assumptions. The challenge is to harness the researcher’s insights to inform practice in constructive ways, and establish effective mechanisms for lesson learning and continuous improvement. Understanding the politics emerged as a key theme in our discussions. It calls for explicit or implicit alliances between complementary organisations – for example, between campaigners who can inscribe an issue on the agenda and pragmatists who can open spaces for dialogue and explore workable options for moving forward. It also calls for informed, tailored and multi-faceted approaches. For example, in exploring the relationship with government, we discussed diverse and possibly complementary approaches such as: action to support implementation of international ‘soft law’ such as the VGGT or the AU F&G; supporting mobilisation and pressure ‘from below’; and seeking allies in ‘enlightened’ parts of government. We talked about the value of spaces for dialogue and lesson sharing. Multi-stakeholder approaches can present limitations and reproduce power imbalances, and involvement of grassroots perspectives is often tokenistic. So it is important to continue interrogating value added and outcomes. It was interesting to hear about the experience of some participants with approaches to facilitate honest dialogue – for example, how spending a retreat together can change inter-personal dynamics. Practical strategies and tactics provide particularly fertile ground for lesson sharing. Promoting coherence between different policy arenas is a key challenge moving forward – not only in terms of how to integrate legal empowerment in land governance programming, but also to ensure alignment between actions in areas as diverse as international development, investment policy and human rights.